Today is the third and final day of the California Bar Exam. 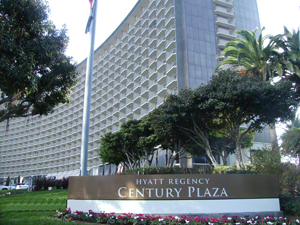 I am excited to travel to Century City to join yet another set of approximately forty Pepperdine grads for lunch. For the test-takers, the morning is no fun, and the afternoon is no fun, but at the conclusion of the six hours of testing comes a sense of relief and joy that is almost indescribable. The end is so close! Today, I will venture to sunny Ontario to share bar exam lunches with another forty of so of our graduates. I will be joined by Professor Jim Gash and our Director of Events, Morgan Thrower. It was Professor Gash who proposed the idea for our bar lunch program several years back, and Director Thrower is the true mastermind behind pulling off this impressive program year after year. The bar exam begins today. Each state has a different testing format, but all are this week. In California, it is a grueling three-day, eighteen-hour exam. Today is Day One. There are three testing locations in the Los Angeles area, and for years now, Pepperdine has been the only law school that travels to all three L.A. sites to provide lunches to its graduates. This is a costly endeavor, but well worth it. On one hand, it is simply difficult (and stressful) to find lunch when a few thousand anxious test-takers flood out of a convention center looking for food at a few nearby restaurants. On the other hand, it is worth it to simply be there for our graduates during this stressful time. Each year, we have volunteers from among our faculty, staff, and administration who travel to each location to just be there and share hugs and lunch with our graduates. Today, I am traveling to the Pasadena Convention Center along with Professor Hilary Reed to have lunch with around forty of our graduates on their first day of the California Bar Exam. If you are the praying type, I ask that you keep our bar applicants in your thoughts and prayers. In this summer of transitions, we had one final transition “out” to occur last Friday. We bid farewell to Ashleigh Brunsink, who has done spectacular work as our Tour Program Coordinator. Ashleigh leaves to pursue graduate work at the University of Pennsylvania. Her husband, Ryan, graduated from Pepperdine Law last May and is sitting for the Pennsylvania Bar this week. It is impossible to estimate the number of students Ashleigh is responsible for attracting to Pepperdine. As the Tour Program Coordinator, she is typically the first contact a prospective student has with the law school, and she has served as a wonderful first impression of our commitment to students. In addition, she is a regular on the incoming class Facebook page, answering questions about housing, classes, books, and everything else that a new student needs to know. Ashleigh will be sorely missed, but we are excited for her new adventure. 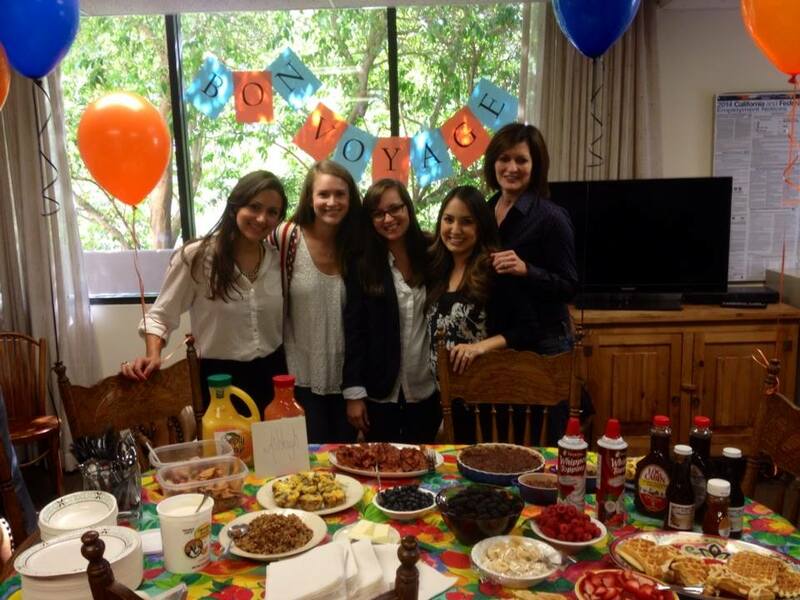 Pictured above is Ashleigh with several of her colleagues–and the spectacular breakfast the staff prepared for her farewell party! Some major office moves are taking place around the law school this week. Specifically, the clinical offices are relocating to the area that has been inhabited by the journal offices, and the journal offices are moving to the former clinical office space! This qualifies as one of those win-win situations where it will be improvements for both. One smaller aspect of this relocation has me particularly excited. Our Student Bar Association (“SBA”) office has historically been in a deep, dark corner of the law school, and although SBA officers have enjoyed having a storage space, it really wasn’t much of an office–and, it surely wasn’t a student-friendly location. 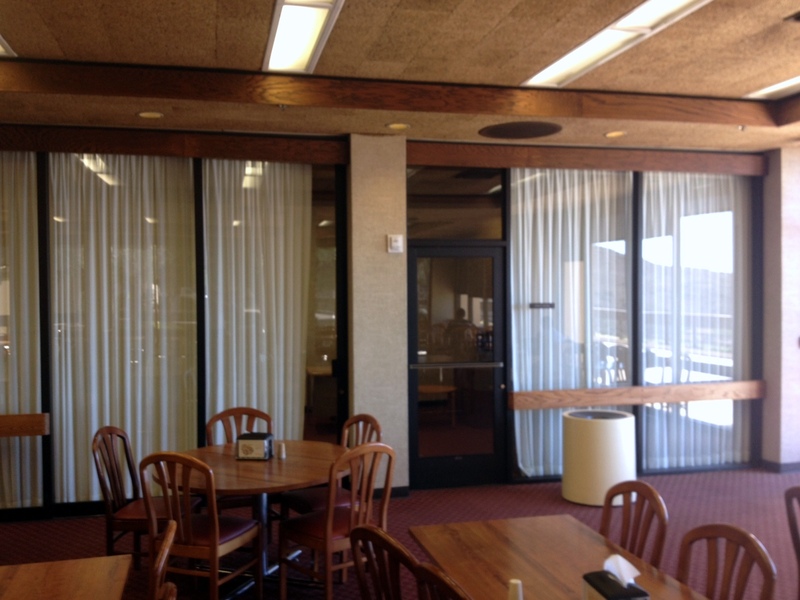 But now, with the office moves, the SBA office will be in the glassed-in portion of the law school cafeteria (behind the curtains in the picture above). This will provide a huge increase in space, but more importantly, it will put these student leaders in close proximity to the student body. This is just one of many things happening this summer that has me excited for the year to come! The new academic year is rapidly approaching, and this morning I have the pleasure of hosting a “breakfast team retreat” for the 20+ members of my team. One of the unique characteristics of our team is that we have significant influence on the law student experience before students arrive on campus and throughout the careers of our graduates. It will be good today to regroup, refocus, and join forces in anticipation of the wonderful year that lies ahead! 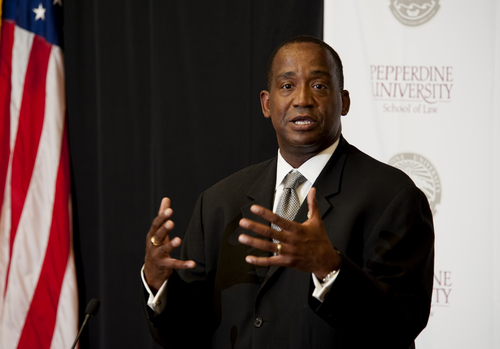 Great news for Pepperdine yesterday when Andre Birotte, Jr. (JD ’91) was unanimously confirmed by the United States Senate as a district judge of the U.S. District Court for the Central District of California. You can read our press release HERE. And while we are speaking of confirmation, we are very excited that Judge Birotte has been confirmed as the final (and keynote) speaker at our Launch Week for our new class of 1Ls! It is just about time to get this little examination over with and move on with life, how does that sound? Odds are that you have prepared for this exam more than you have ever prepared for any one thing in your life. As a result, you will be relieved to finally get to it. It will (unbelievably) feel good to start those first morning essays! So you are past the time for dreading “the bar” – just bring it on, knock it out, and get to the rest of your life! 1. Enjoy a little packing and nesting this weekend. If you have studied at the law school, clean out your locker. When you pack up for the hotel, be sure to read over the “what you can bring into the exam” list and believe that they are serious about enforcing the list. 2. For those staying in hotels, I suggest arriving early. It gets a little crazy when a bunch of bar applicants arrive at the same time prepared to argue with anyone and anything, so I suggest beating the crowd. 3. Once you arrive, take a leisurely walk around the area to get your bearings. Both the walk and the acclimation process are good things. 4. Get plenty of alarms set (wake-up call, cell phone alarm, etc.) – no need to add unnecessary stress by oversleeping! 5. Walk in with confidence. There is a difference between confidence and arrogance, and truth be told, you graduated from a school with a track record on the bar that qualifies you to walk in the room with either one. Arrogance can get you in trouble, though. Instead, walk in knowing that you have everything going for you and are in the top echelon of people truly prepared for the bar exam. 6. Pay attention to your timing. You have practiced this all summer, so it won’t be a problem. Just stay on task. 7. Finally, just do your best no matter what. As a dad, I have always told my daughters that I would be proud of them for doing their best regardless of the final result. The good news for you is that your best on the bar exam promises to produce the result you want. It has truly been an honor to tag along with you all through the bar preparation process. I look forward to seeing many of you during a lunch break next week, and I especially look forward to the swearing-in ceremony after you accomplish what you set out to accomplish! You continue to be in my thoughts and prayers, but I have every confidence in you. The bar exam is just a week away, so today and tomorrow, as is our tradition, many of our faculty members are hosting office hours to answer any and all last minute questions from our graduates coming down the home stretch. It is always so encouraging to see our faculty turn out in support of our students. Although the office hours generally aren’t flooded with people at this point in the summer, it is truly the thought that counts. I had the honor of attending an event hosted by OneJustice in San Francisco last evening with Dean Saxer, Professor Baker, and Parris Institute Associate Director Danny DeWalt. The event was titled, Opening Doors to Justice, and the evening included both awards and the opportunity to donate to the work of OneJustice. OneJustice supports a statewide network that brings free legal help to hundreds of thousands of Californians in need.